Are Seatbelts Really That Important? 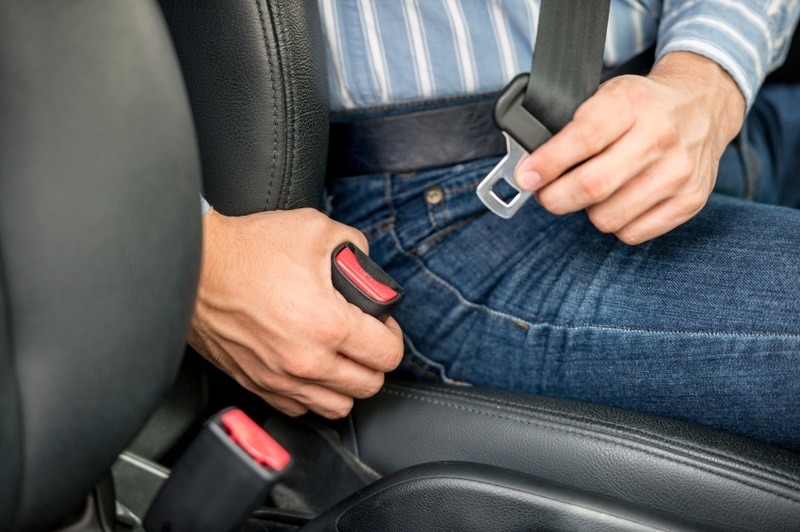 Home » Auto Insurance » Are Seatbelts Really That Important? You probably know that the driver of a vehicle has to buckle up, but you may not know that the driver is also responsible for making sure everyone else in the vehicle is properly secured. All shoulder and lap belts need to be in working order, and everyone needs to be in a seat with a seatbelt, booster seat, or other federally-approved system. If you have any passengers under 16 and they aren’t wearing their seatbelt, you could face a citation. So why is the law so strict about this? Probably because seatbelts work. Even with a lap belt alone, your odds of surviving a collision double. Add the shoulder strap and your chances are three to four times higher than if you hadn’t been wearing the seatbelt at all. If your vehicle is missing any of the safety features we’ve mentioned so far, check with your dealership or local mechanic – your vehicle can probably be outfitted with the legally required safety equipment. Unhappy with your legally-required liability insurance? Cost-U-Less can save you money – just call or stop by today. Still not convinced? Many drivers who don’t believe in the power of the seatbelt have probably been fooled by one of many popular myths surrounding their effectiveness. Some drivers insist that seatbelts can actually increase a driver’s risk of death by trapping them inside the vehicle, but this has no basis in reality. Testing shows that most seatbelts can be taken off in less than a second, and while in place, the seatbelt serves a more important purpose: keeping you in control of the vehicle. Your chances are better with a seatbelt on – full stop. Hoping you’ll just be thrown clear of the collision? It’s very unlikely that that will work out for you – your chances of surviving are five times higher if you stay in your seat. Getting “thrown clear” of a collision is likely worse than the collision itself. Think you don’t need your seatbelt for a quick trip around the block? Statistically, that’s when you’re most likely to be killed in a collision. Research shows that over 50% of traffic fatalities happen within 25 miles of the driver’s home. Worried about worst-case scenarios? With Cost-U-Less full coverage insurance, you don’t need to worry. Find out how much you could be saving today by giving us a call, visiting us online, or stopping by our offices. You definitely need auto insurance and a license… But do you really need to buckle up on the road? Here’s what the law says – and why it says that.